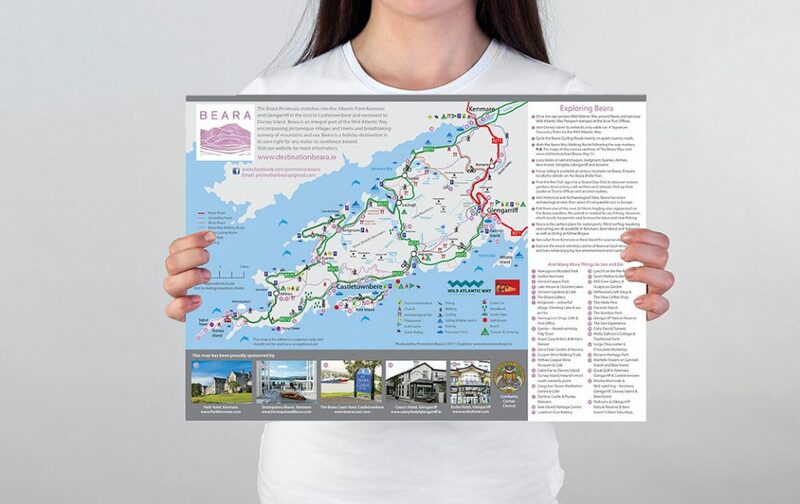 The Beara A3 tear off map was originally designed in 2010 and in the intervening period had been reprinted twice, with print runs of 250,000 and 150,000. 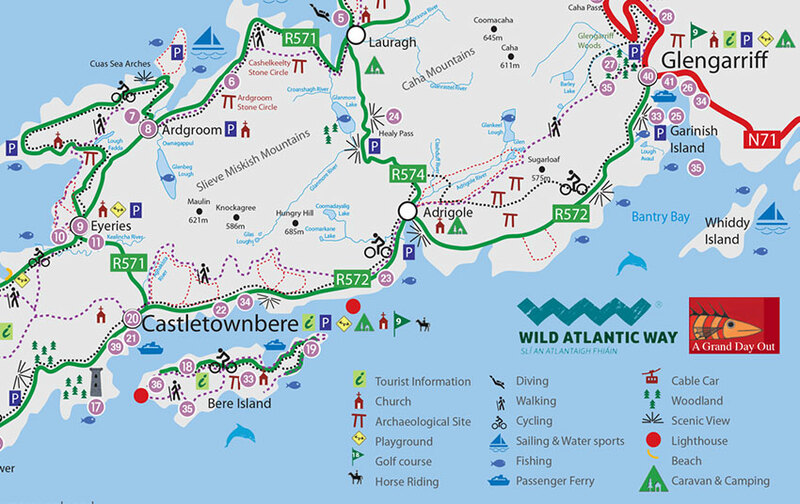 Following a rebrand of the Destination Beara website the map was redesigned to accommodate the new branding and include more up to date information on towns and activities on the Beara Peninsula. 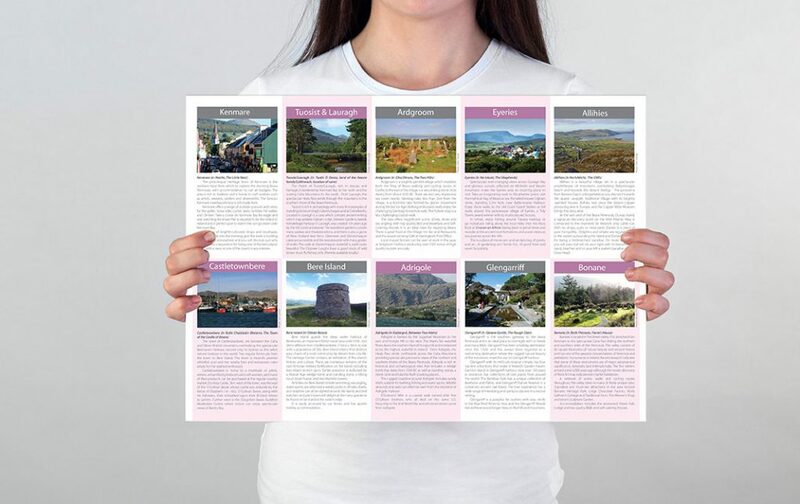 150,000 copies were printed and delivered to the client.